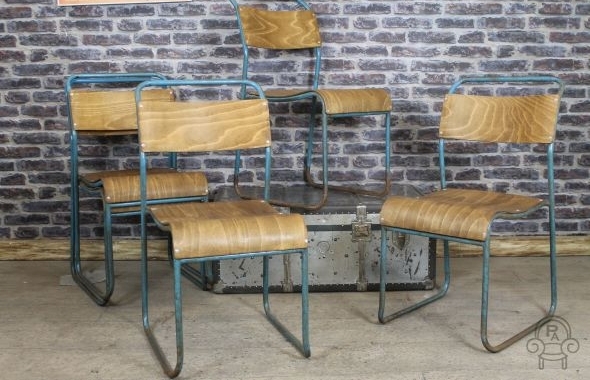 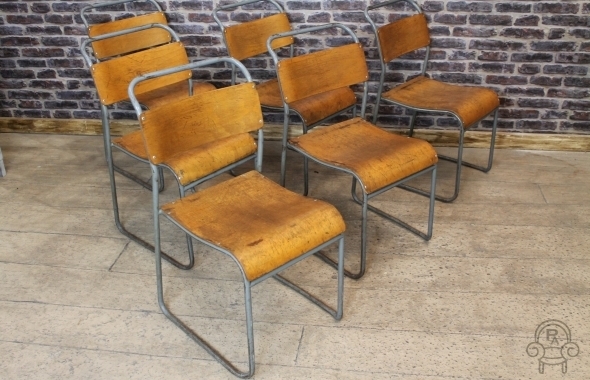 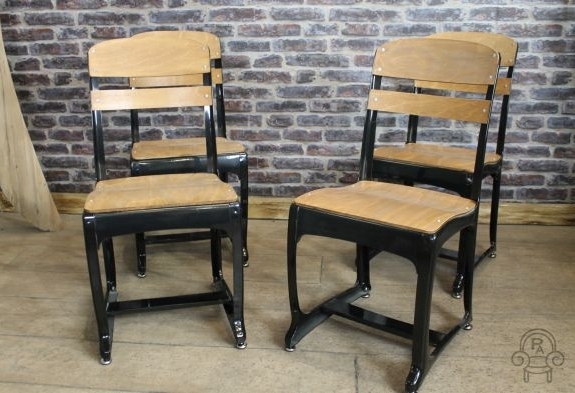 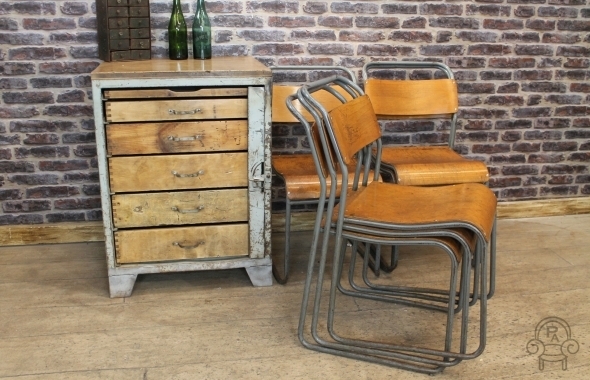 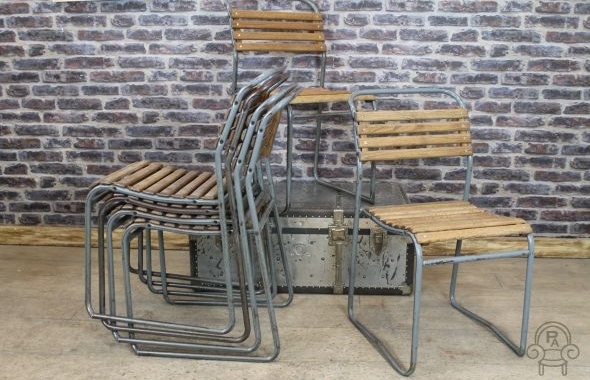 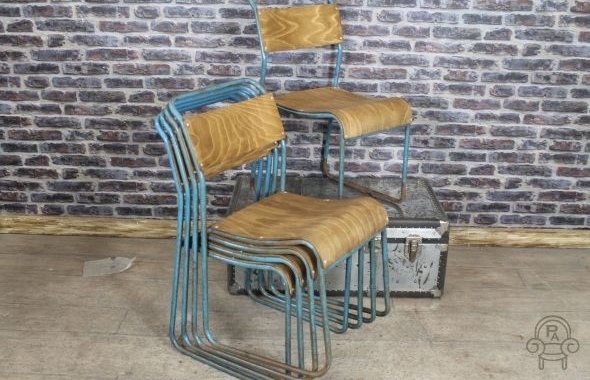 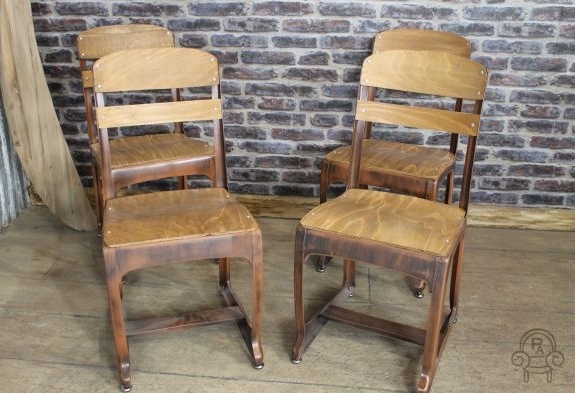 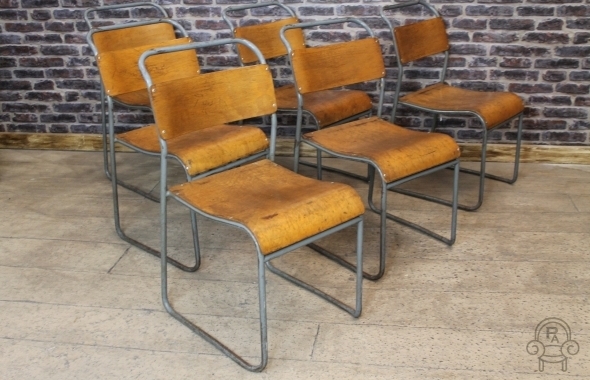 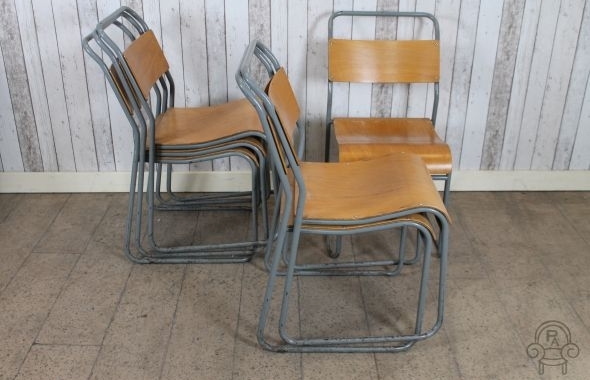 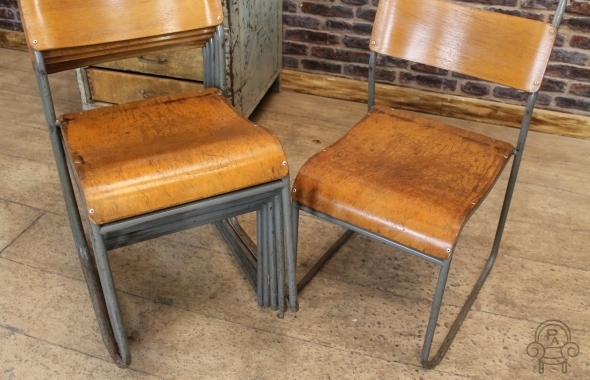 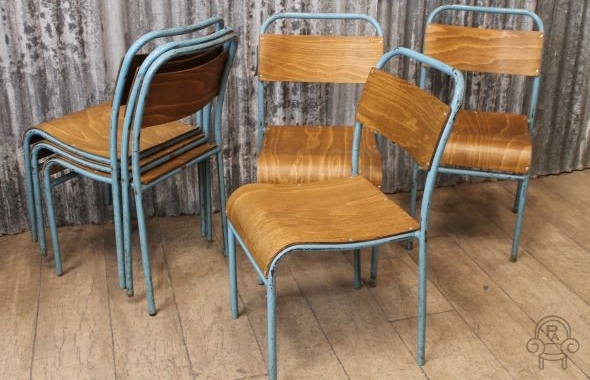 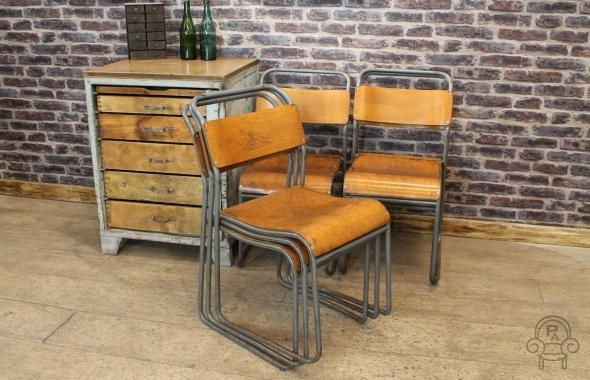 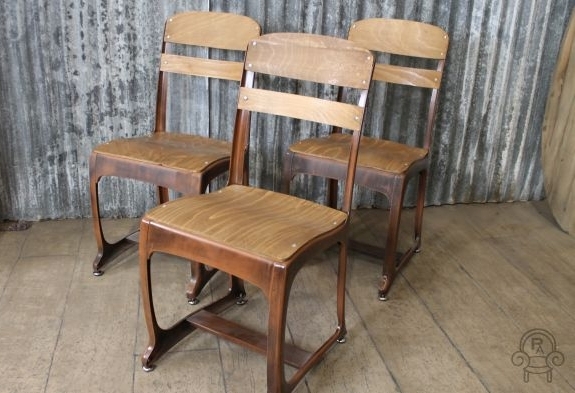 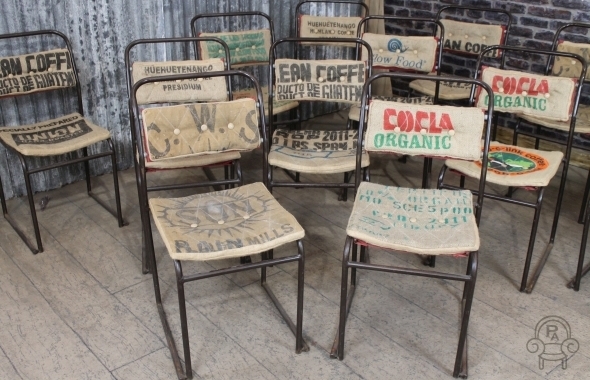 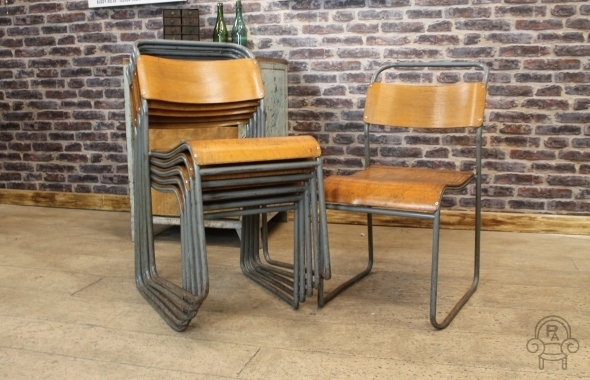 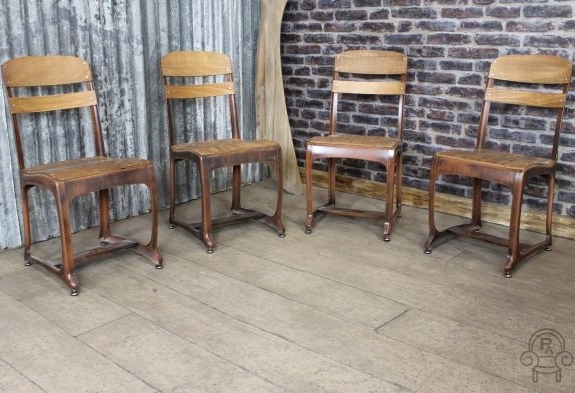 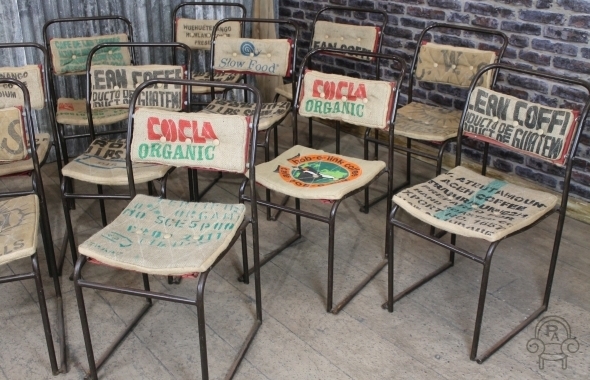 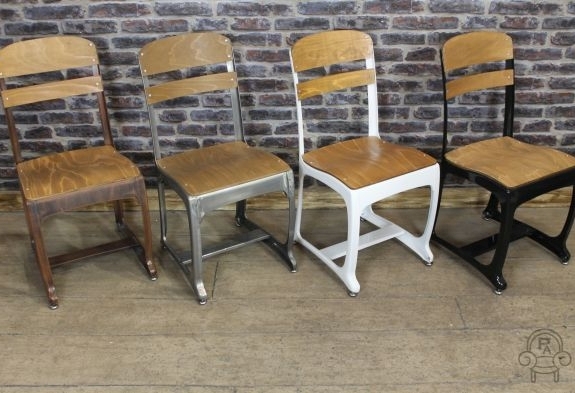 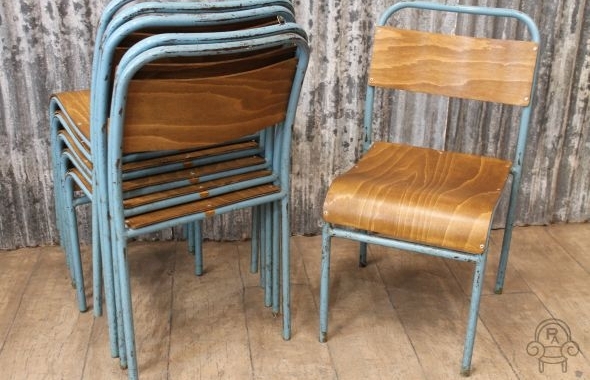 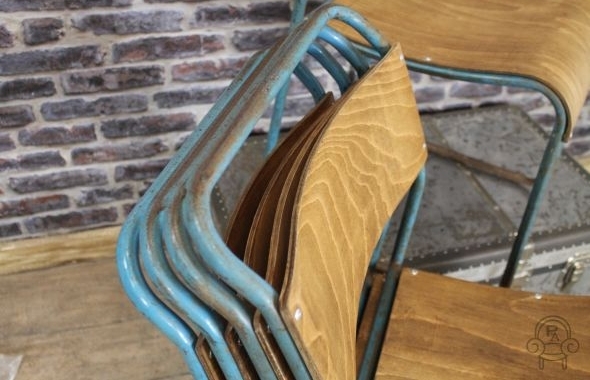 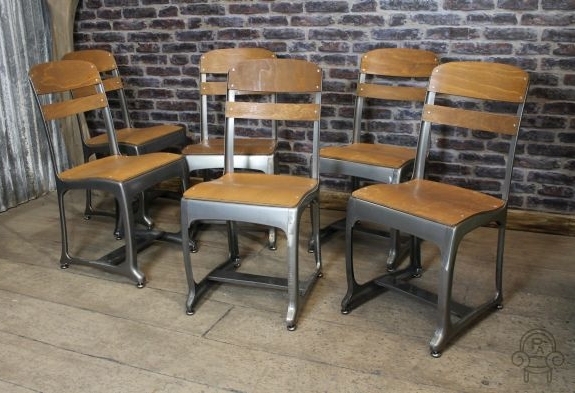 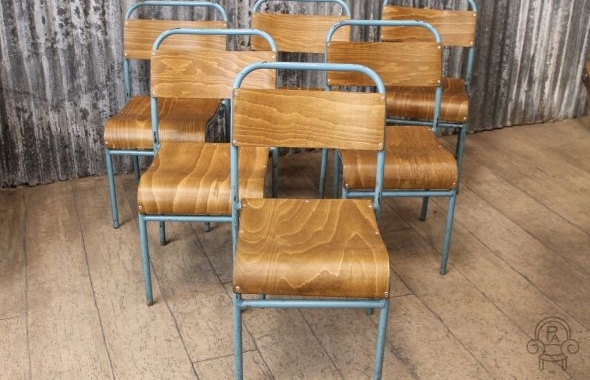 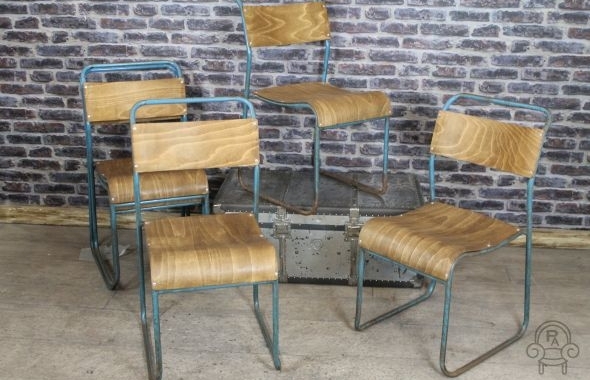 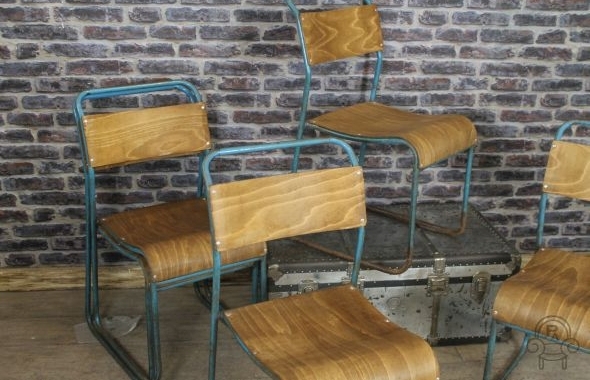 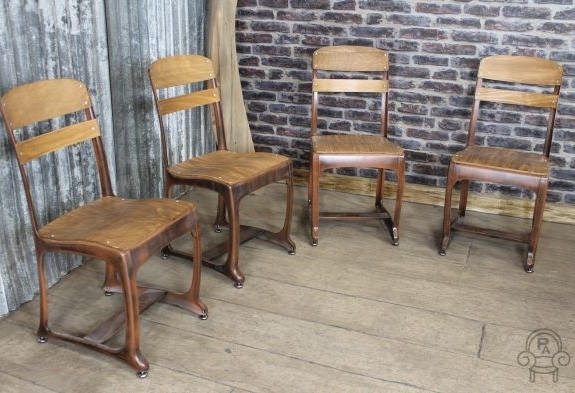 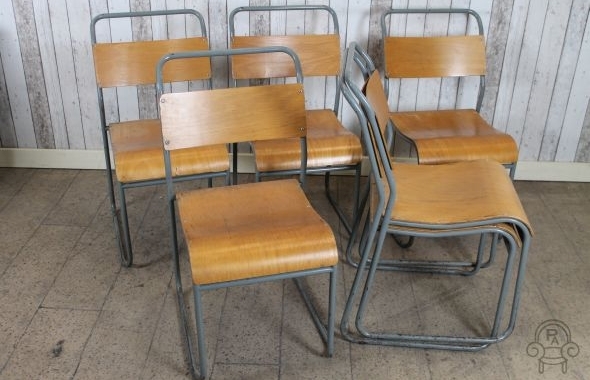 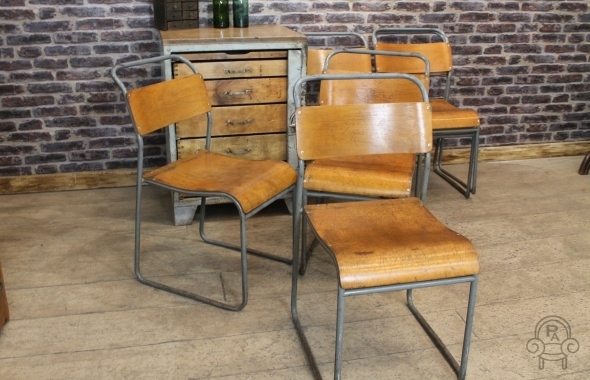 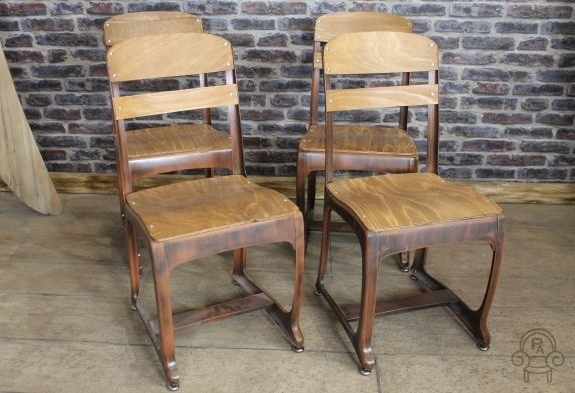 These vintage upholstered stacking chairs are an unusual twist on a classic vintage English stacking chair. 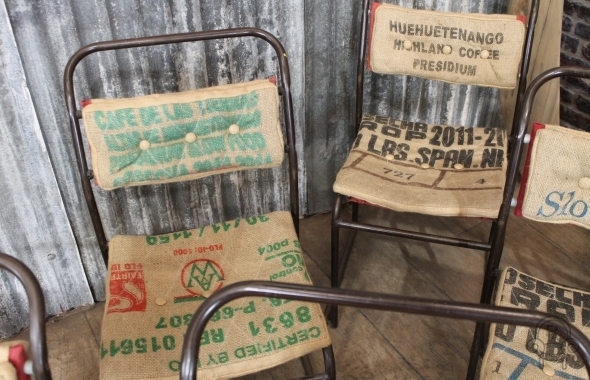 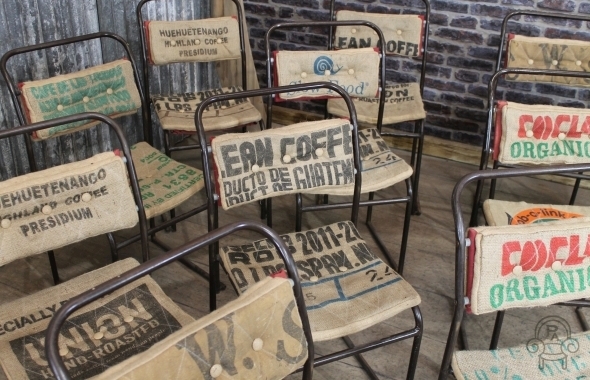 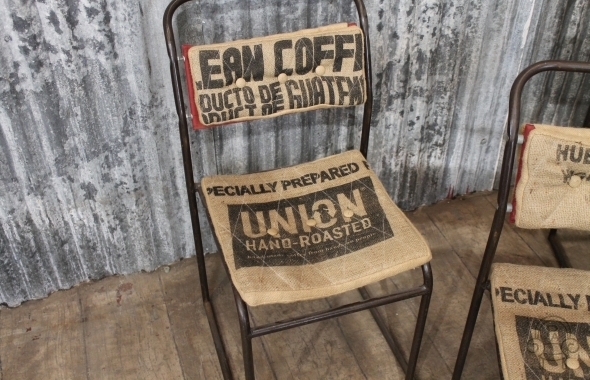 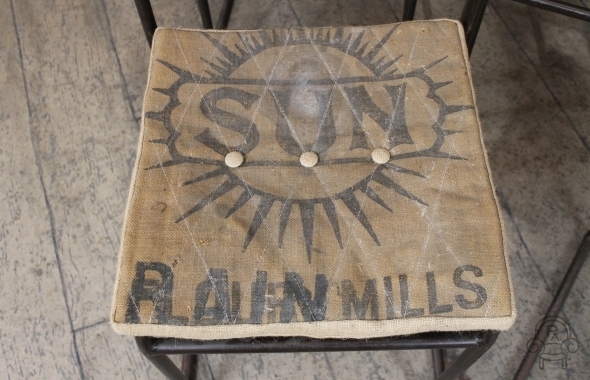 The chairs have been upholstered in original food/coffee hessian sacks, giving them a unique look. 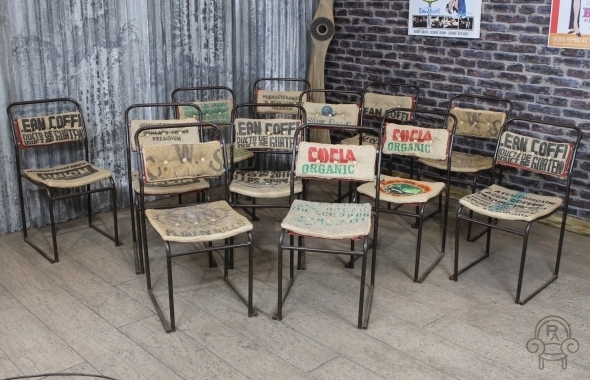 These cafe chairs are very comfortable and will stack up to 4 high, even with their quilted upholstery. 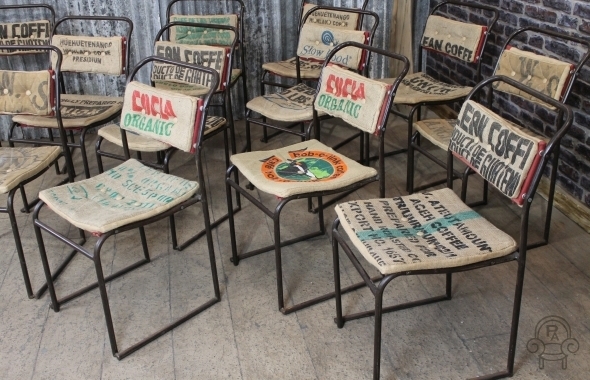 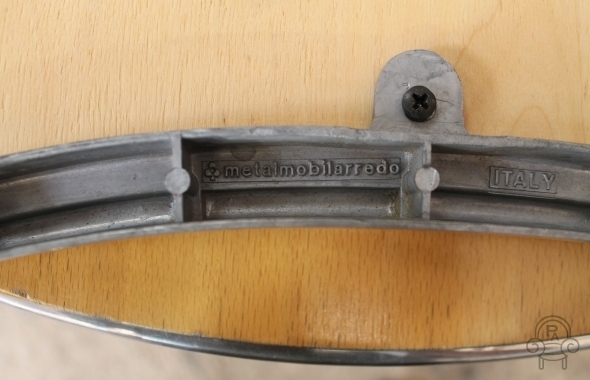 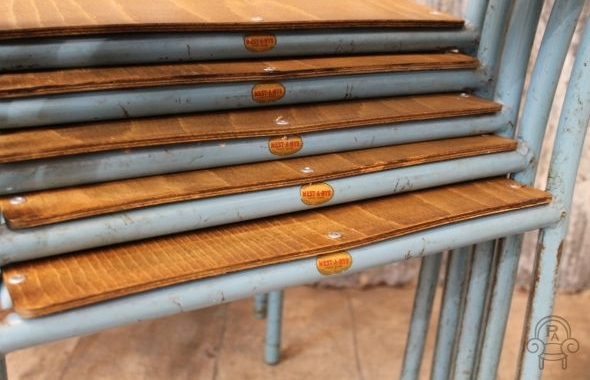 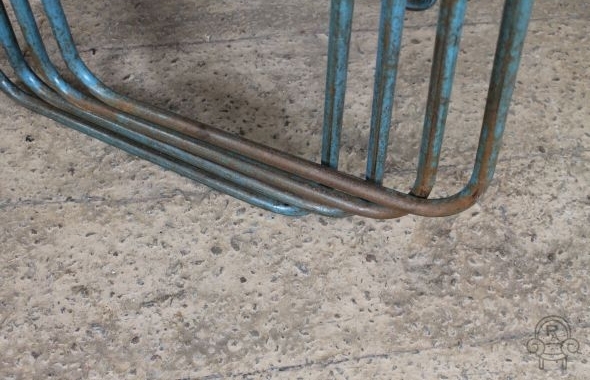 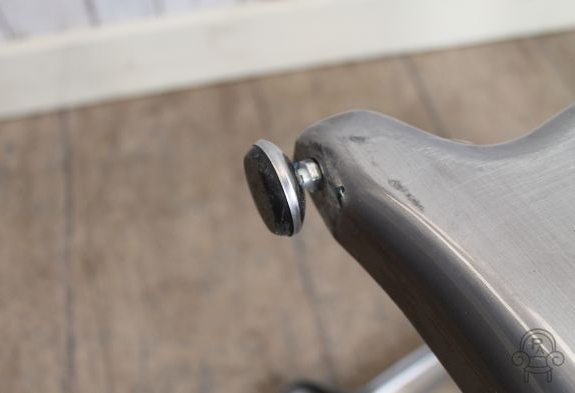 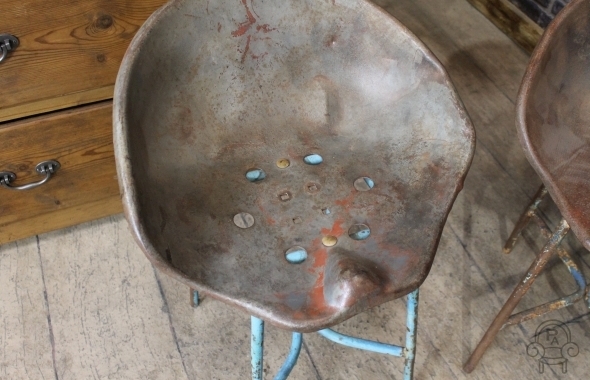 Dating from the 1950s, the chairs are in good condition but there will be marks to the paint work due to their age. 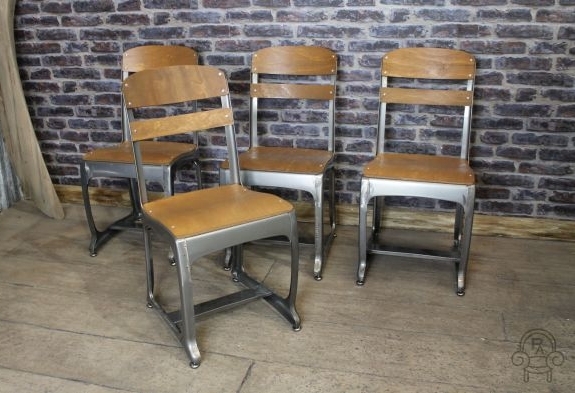 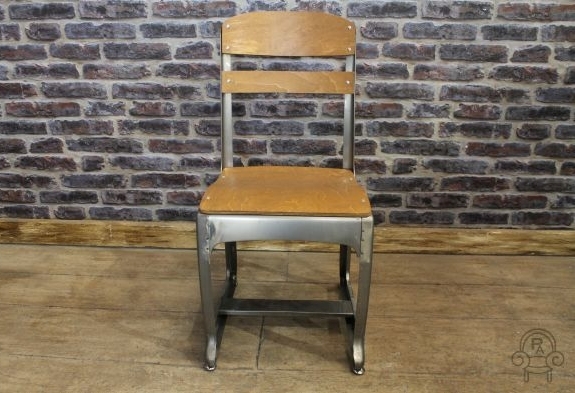 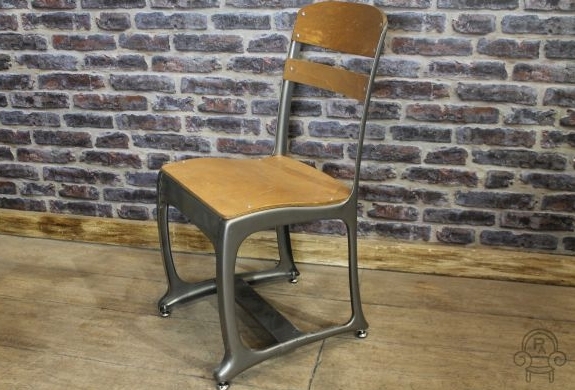 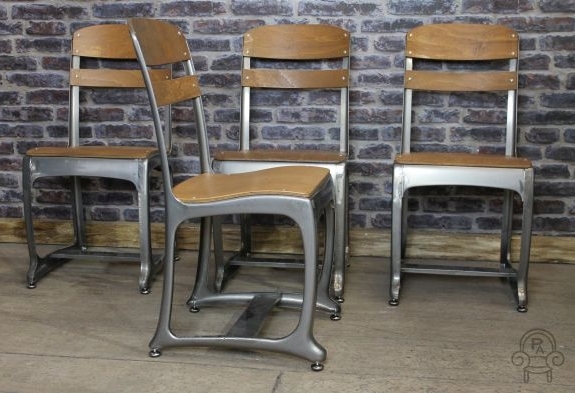 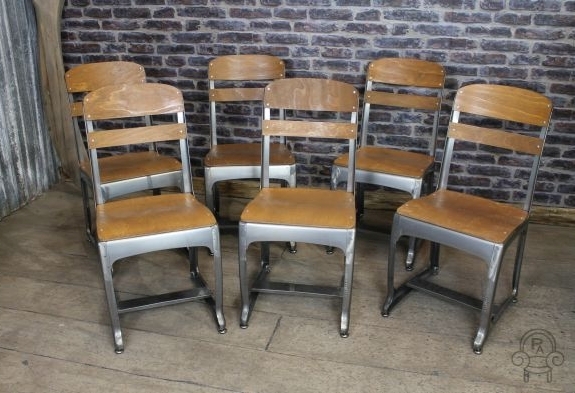 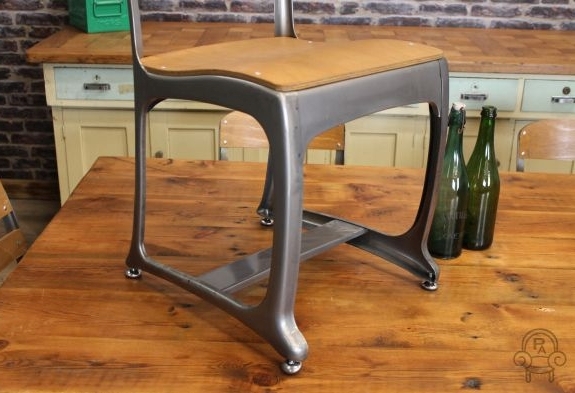 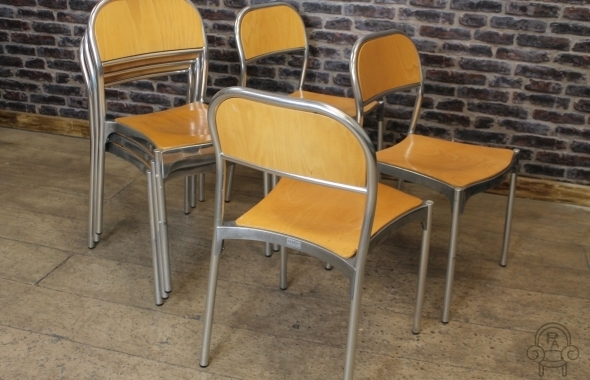 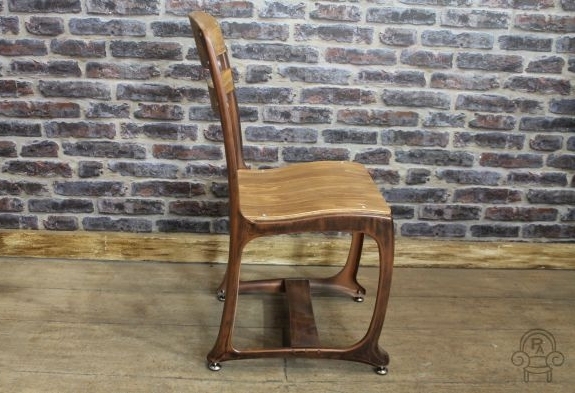 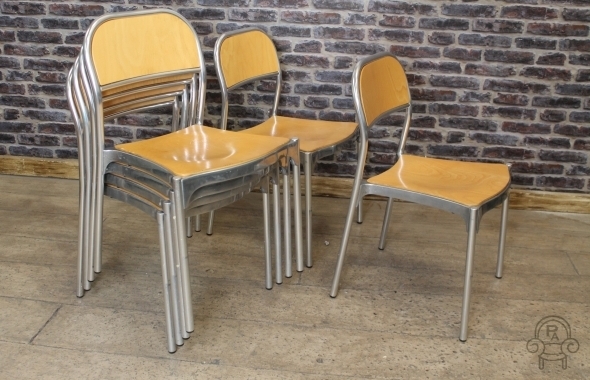 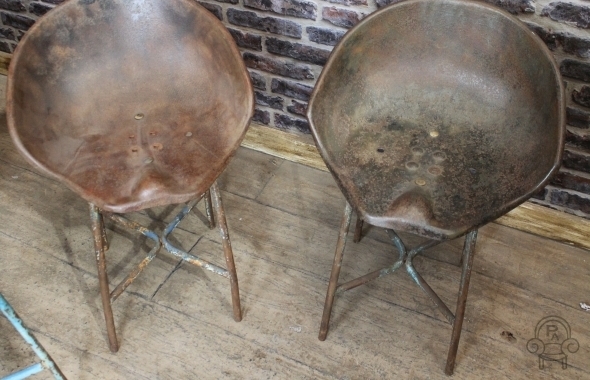 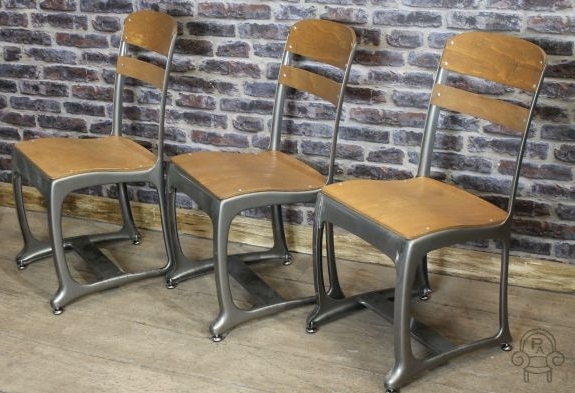 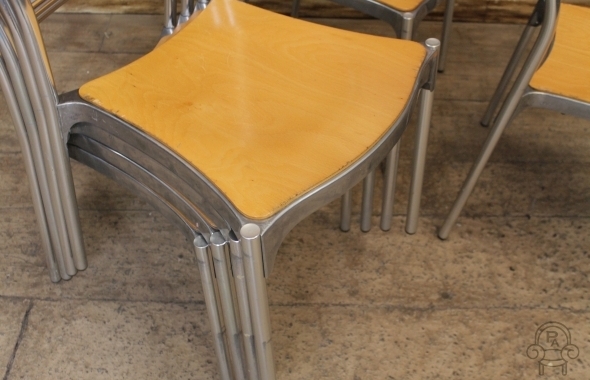 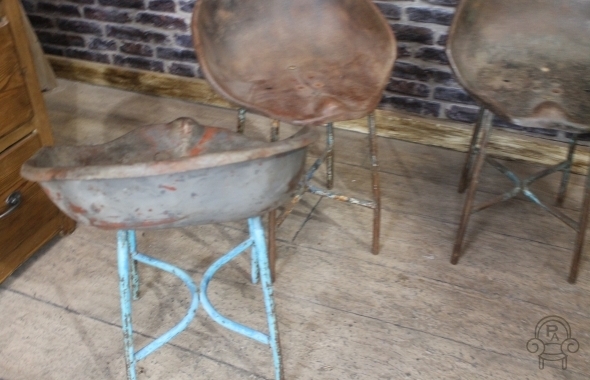 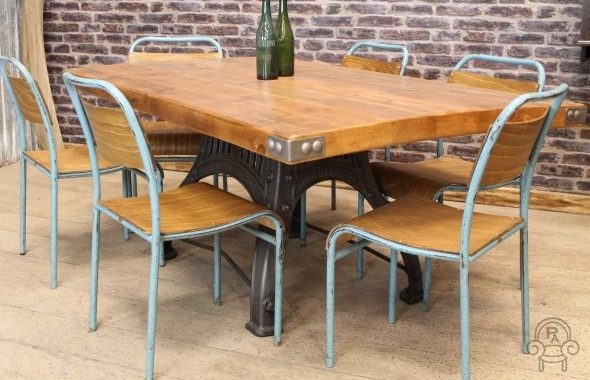 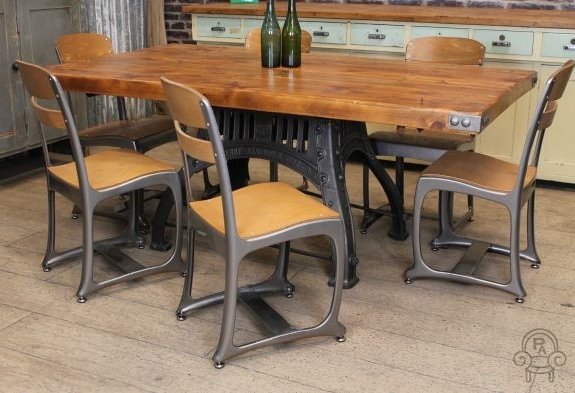 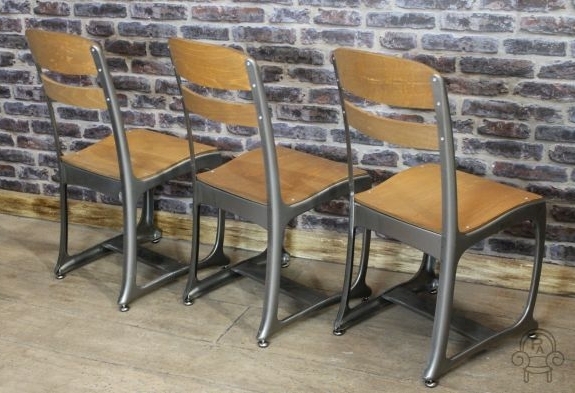 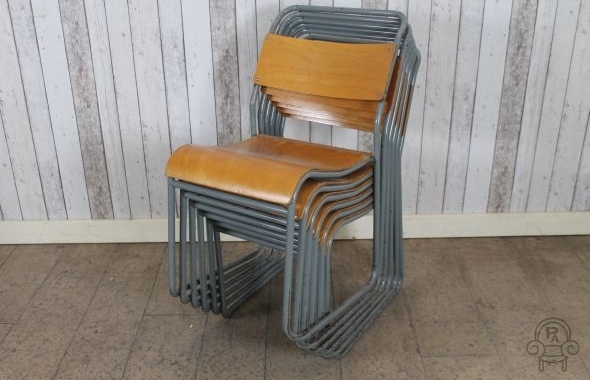 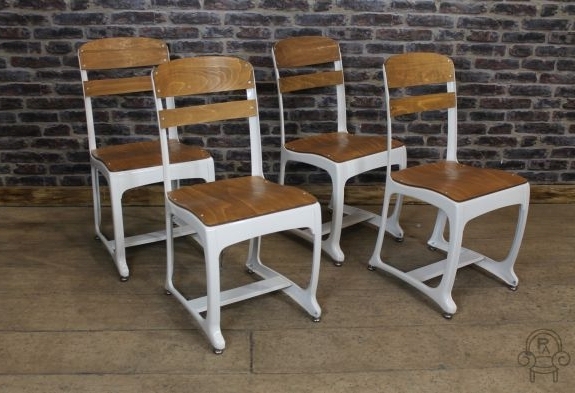 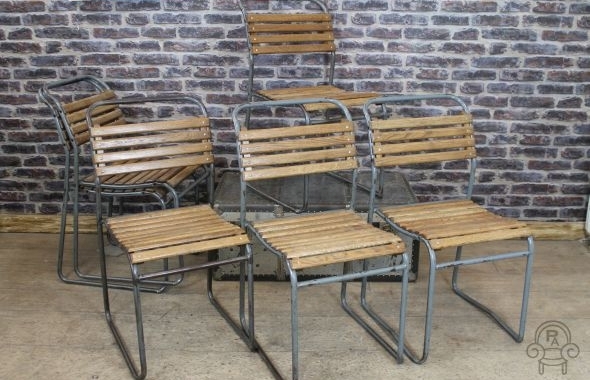 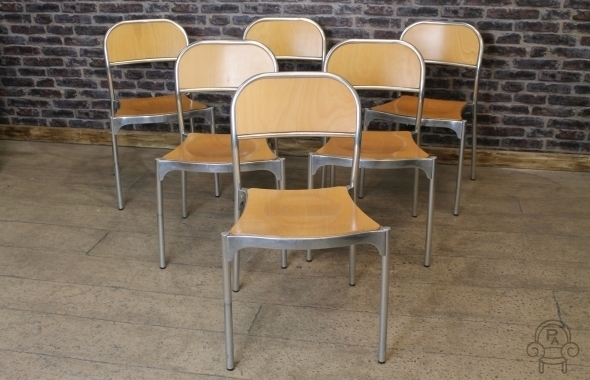 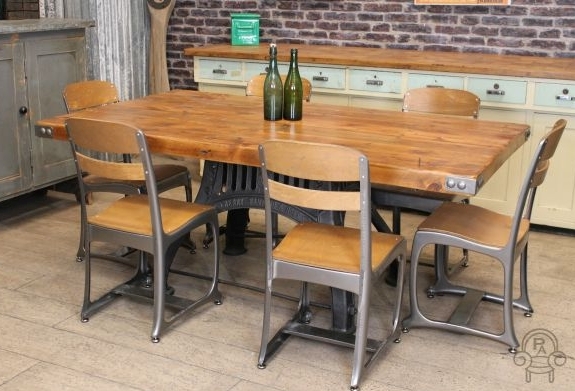 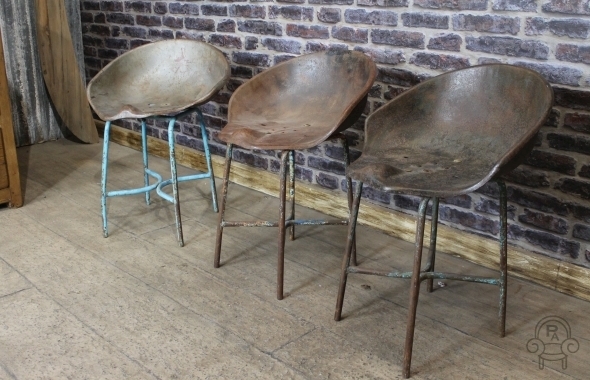 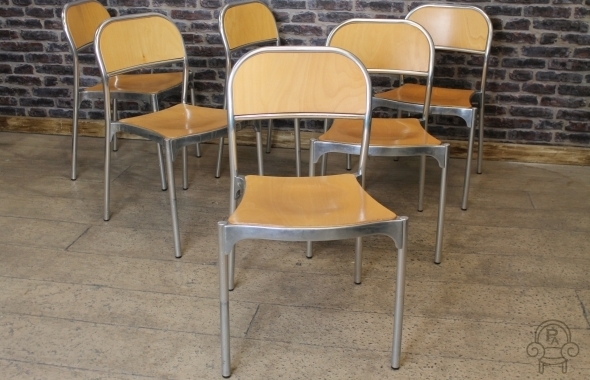 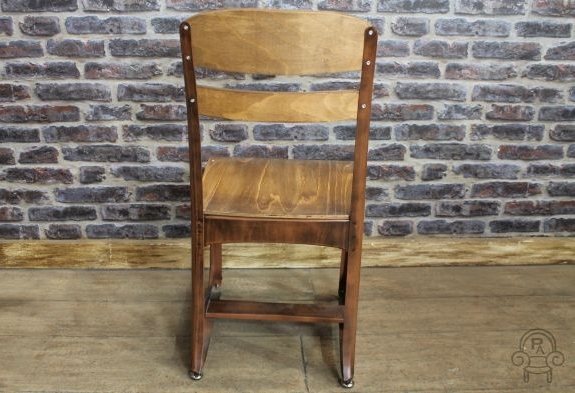 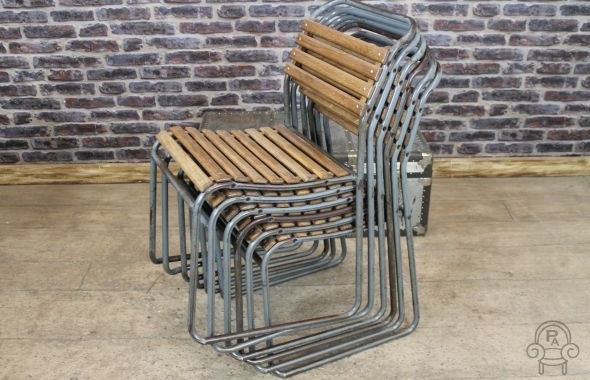 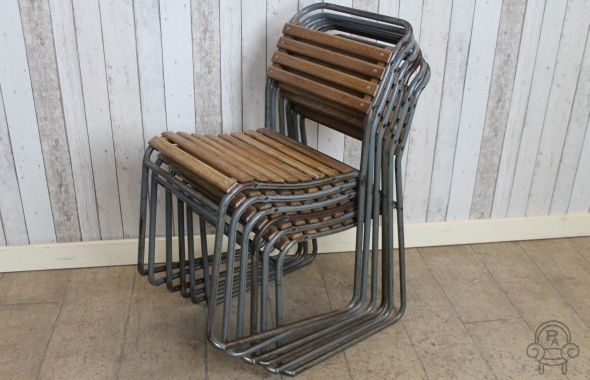 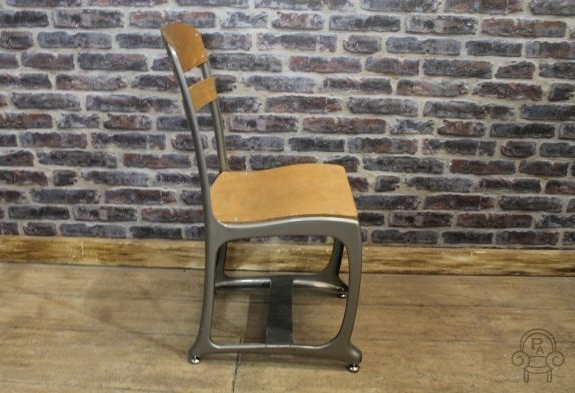 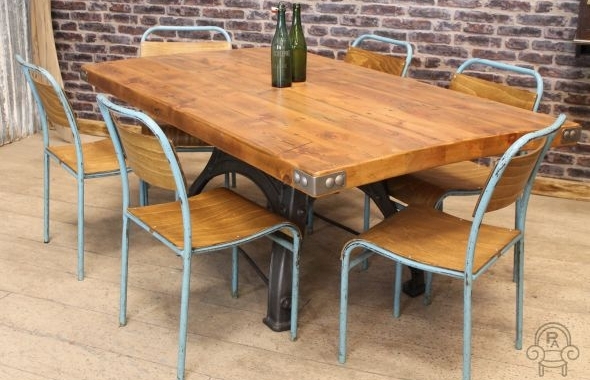 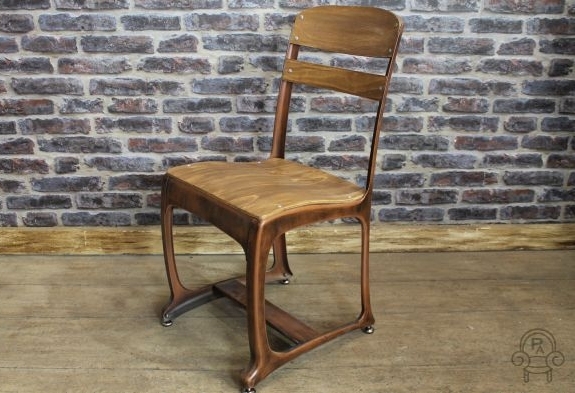 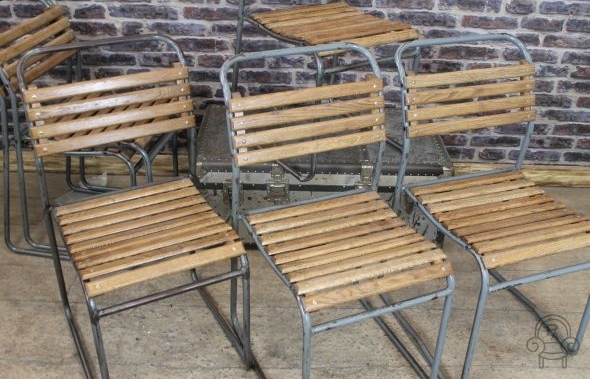 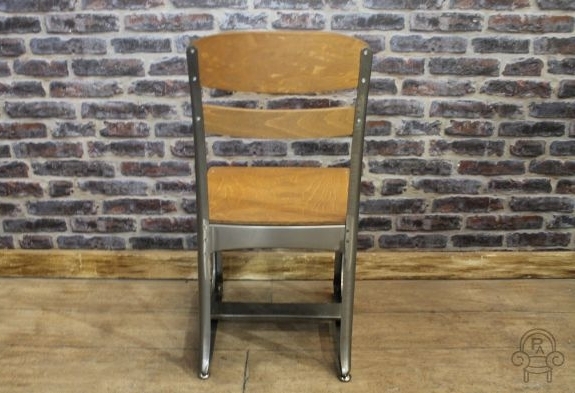 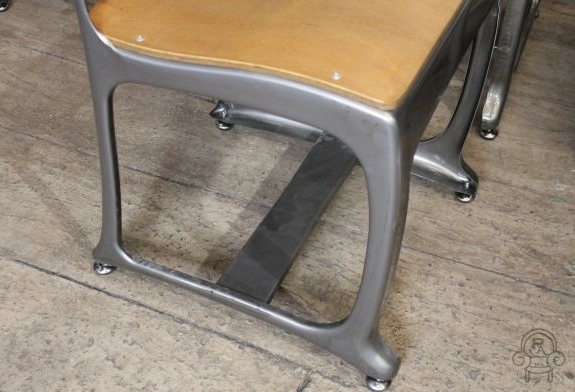 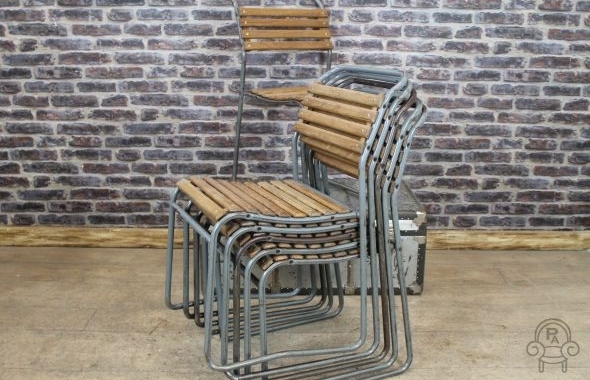 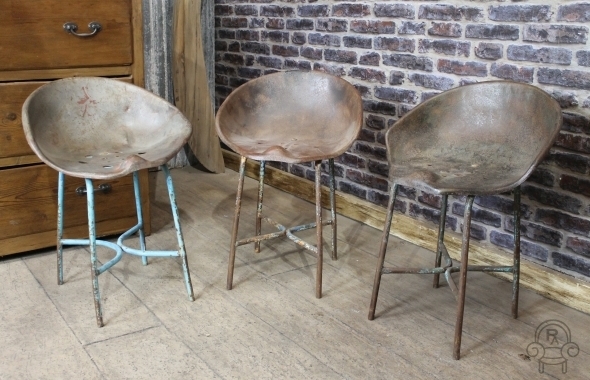 These fantastic chairs would be ideal for a restaurant, cafe or domestic space. 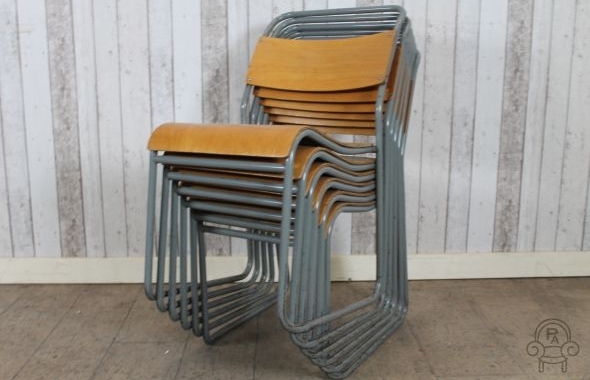 Please note this listing is for one chair only and we cannot guarantee what design you will receive.